Good evening Delightful Doggie 4 U readers, tonight we have made it up to the medium dog breeds recognized by the American Kennel Club that start with the letter “E” let us get started. The English Cocker Spaniel originated in the United Kingdom bred as hunting dogs, with the “cocker” deriving from them being used to hunting the Eurasian woodcock. Today we have English Cocker Spaniels being used as a field, working, and show dogs but the original breed was a sporting gun dog. Compactly built they stand 14 to 17 inches at the withers, weighing 26 to 35 pounds, and have a life expectancy of 12 to 15 years. The wavy silky coat of English Cocker Spaniels can be found in black, blue roan, black & tan, orange roan, liver roan, orange & white, liver & tan, liver & white, ash, liver, sable, tricolor, black & white, lemon & white, silver, golden, tricolor ticked, and red. This breed with its beautiful silky coat is trainable, affectionate, playful, quiet, faithful, happy, and friendly they are a tireless eager to please hunter’s helper with their ability to flush and retrieve game birds, but also a charming household companion. An English Cocker Spaniel is one of the breeds that I can comfortably recommend to families with children of all ages adaptable to apartment living as long as you can get them out for walks daily these happy dogs will do well. For older adults, they are a breed to be admired with a delightful personality and genuine good looks. The English Foxhound originated in England Great Britain bred for hunting foxes by scent, and only one of the four foxhound breeds. 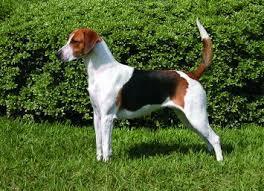 A cousin of the American Foxhound, the English Foxhound stands 21 to 24 inches at the withers, weighs 55 to 75 pounds, and has a life expectancy of 10 to 13 years. The short-haired coat comes in three colors white, tricolored, and lemon & white. This breed is sociable, companionable, active, friendly, gentle, and tolerant but not a good breed for a family pet or a companion to the elderly. Built for the gun hunt of fox they have a substantial galloping ability with great stamina and have been used to hunt coyote, for these dogs it is never about the kill but the thrill of the chase. With their primal instinct for pursuit and being a pack animal by nature, you will rarely see this gentle breed as a house pet. 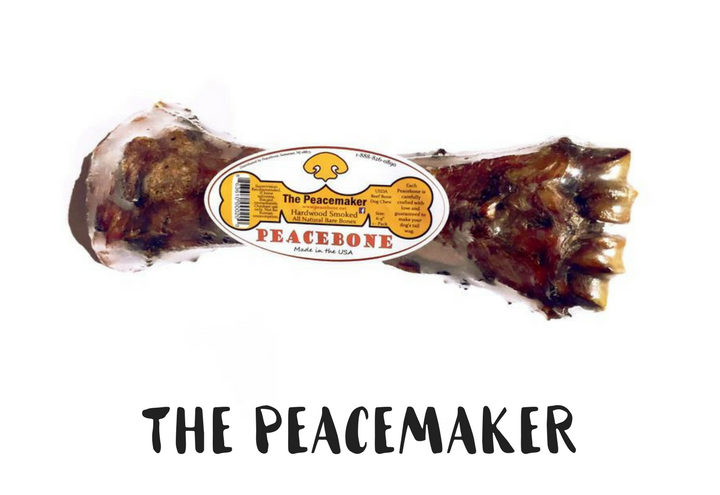 Most hunters keep a pack of this breed in a kennel where they can manage the challenges of owning the dogs with their powerful scent-driven need for the chase. The English Setter originated from England and Wales a medium-size breed of the setter group including the Red Irish Setters, Irish Red, and White Setters, and the Black and Tan Gordon Setters. A sporting breed that enjoys its work that was originally on the different terrains of England, Ireland, and Scotland hunting so it is a very active breed that requires plenty of exercise and space to run. Standing 24 to 27 inches at the shoulders, weighing 45 to 80 pounds, and having a life expectancy of 10 to 12 years this affectionate, mischievous, and energetic dog is a gentleman or lady, unless at play where they love being boisterous. The medium length long silky fringes on the back of the legs, under the belly and on the tail is a distinctive trait of the English Setter which comes in colors of blue Belton, liver Belton, orange Belton, tricolor, lemon Belton, and chestnut Belton. 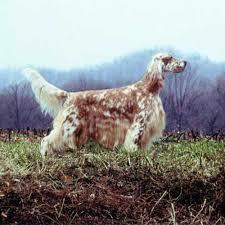 The Belton is unique to the color of the breed and describes the speckled coat patterns of colors. English Setters make a great family pet with proper exercise they adore children and other pets with the sweet temper they also have the reputation of being alert and protective of their family members and territories but will back down quickly when commanded to. One other thing you might want to keep in mind with this breed is they are manipulative with consistency being a key in raising them. Make sure to use a gentle hand strong methods will not work they are a sensitive breed with long memories. 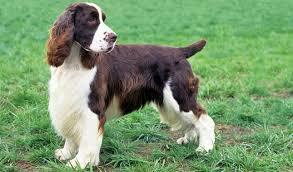 The English Springer Spaniel originated from England, United Kingdom a breed of gun dog of the Spaniel family used for flushing and retrieving game. English Springer Spaniels are built tough for long days of hunting and retrieving standing 18 to 22 inches at the shoulder, weighing 40 to 55 pounds, and having a life expectancy of 12 to 14 years a hunter’s best buddy faithfully. The multitude of colors this breed comes with include liver & white, black & white, lemon & white, orange & white, red & white, and tricolor. With a double coat, the long lush ears these dogs require brushing daily to keep them looking spectacular. Being bred to work closely with humans English Springer Spaniels crave company at all times and become miserable if neglected or ignored. Good with children and other animals always eager to join in any family activity whether it be long walks, games of chase and fetch, or even swimming the English Springer Spaniels are along for the fun. 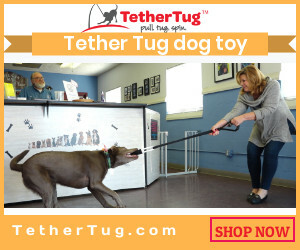 Training this breed is easy with their temperaments of being affectionate, cheerful, alert, intelligent, active, attentive, and polite people pleasers you will find they are a lovable bird dog of great energy and stamina with the brains to be a loving family pet as well. 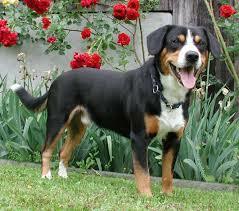 The Entlebucher Mountain Dog (pronounced – ENT-leh-boo-cur) is also known as the Entlebucher Sennenhund and originated from Entelbuch a region in the canton of Lucerne in Switzerland. This medium-sized herding dog is the smallest of the four breeds of the Sennenhund dog type whose name is derived from the people called Senn who were herders in the Swiss Alps. A rugged and determined mover of cattle they stand 17 to 20 inches at the withers, weigh 45 to 65 pounds, and have a life expectancy of 11 to 15 years. They have a short double coat that is tri-colored in black, tan, and white which feels a little rough to the touch, the outer coat is harsh, close-fitting and shiny, and its undercoat is thick and dense. Occasionally you will find an Entlebucher Mountain Dog with a wavy or soft coat, this is tolerated but not preferred with the breed standard. Entlebucher Mountain Dogs are spirited, energetic athletes, with independent problem-solving abilities and are happiest with a job such as being vigilant protectors of their four-legged or two-legged herds. When they are properly socialized growing up they are a durable and trustworthy pet for families with older children. Being self-confident, loyal, independent, agile, devoted, intelligent, enthusiastic, and attentive they require lots of exercise with family time, inexperienced dog owners would find this breed overwhelming with its strong, self-confident, clever, zesty, eager to go to work dog. This is not a breed for a sedative lifestyle of apartment dwellers or the elderly, nor for families with small children. 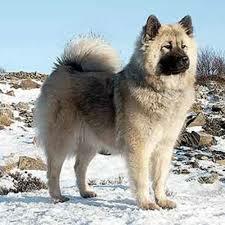 The Eurasier, also known as the Eurasian Dog, a breed of dog of the Spitz type that originated in Germany. 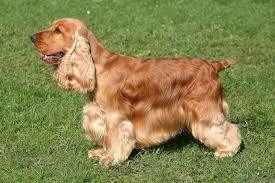 The breed is popular in Germany and Switzerland and is little known in the United States and the western world. Eurasier is known as a companion dog that maintains its own personality, once called the Wolf Chow when the breed was first introduced 50 years ago by cross-breeding the Wolf Spitz, a Nordic-type breed found in Germany, the Chow Chow, and, later, the Samoyed. The breed has a reserved attitude towards strangers and a strong protective bond to its family. With a thick medium to long coat that comes in the colors of black, fawn, wolf-sable, black & tan, black & silver, and red amazingly they only shed twice a year and require brushing a couple of times a week (except during shedding time) to remove tangles, loose hair, and dirt. These dogs do not have the usual dog smell and require bathing only two to three times a year. This calm, alert, intelligent, reserved, even-tempered, watchful, confident, loyal, well-balanced, relatively easy to train breed stands 10 to 24 inches at the shoulder, weighs 40 to 71 pounds, and has a life expectancy of 12 to 14 years. With their loyalty to the entire family, these dogs are wonderful with children of all ages but are not suitable to be kept outside or in kennels. Soft firm training is best when dealing with training of the Eurasier the sensitive nature with a strong hand will not work well for them, and it is best if a family member does the training because of their reservations towards strangers. A couple of traits of the Eurasiers is they can have purple tongues, pink tongues, or spotted tongues – having what they called a reverse mask around the face can be light or dark. Tonight wraps all the dog breeds that start with the letter “E” and the next post will be for the dog breeds that start with the “F” there are some really great looking breeds coming and it keeps getting harder and harder to make up one’s mind on a perfect breed that is going to be right for you. What about today’s breed any that look like they are going to be the one? Have you found a favorite yet? Please make sure to let me known here at Delightful Doggie 4 U what you think of all the breeds listed and I seriously would like to hear feedback in comments, suggestions, or questions you can leave them in the space provided below.